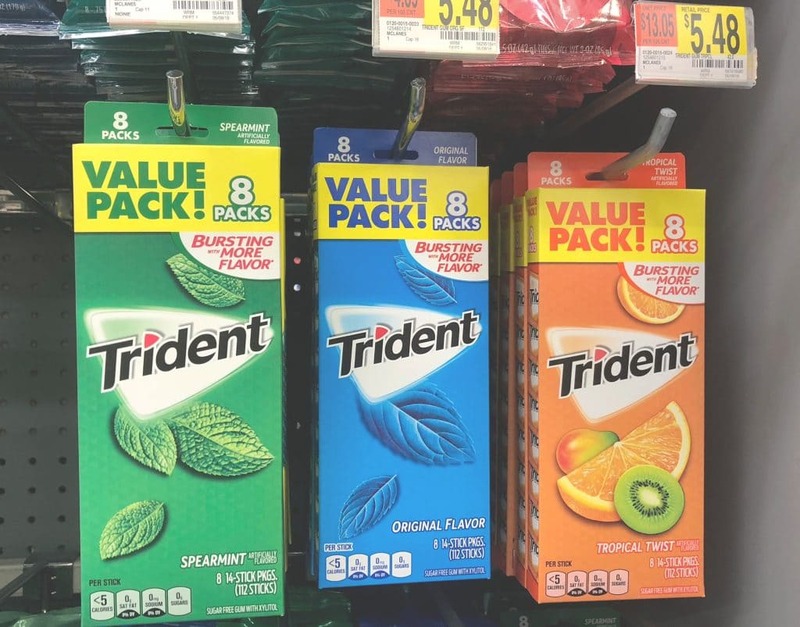 Save Money and Freshen Up with Trident! Summer is a great time to slow down, but when school starts we are on the go from place to place. 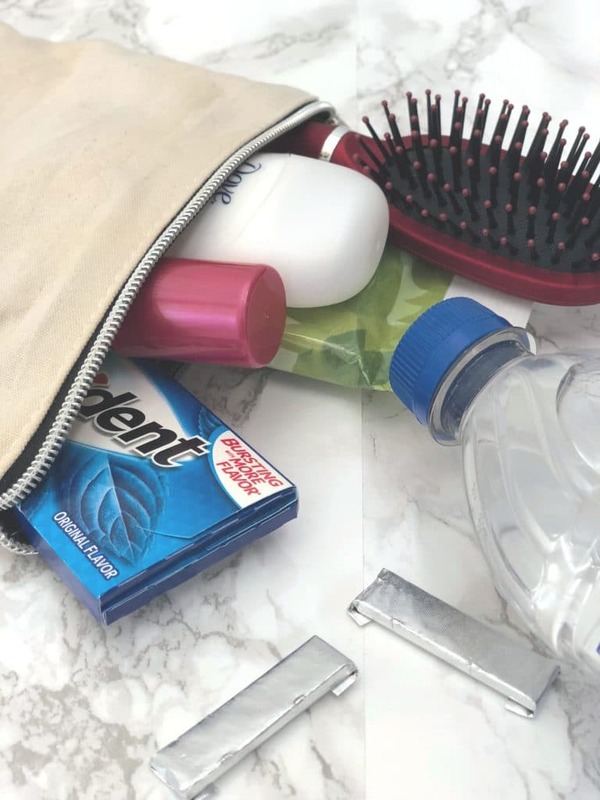 This is the time of year where I also stock up on essentials to keep me fresh while on the go and I look to ibotta to save on so many of my essentials. 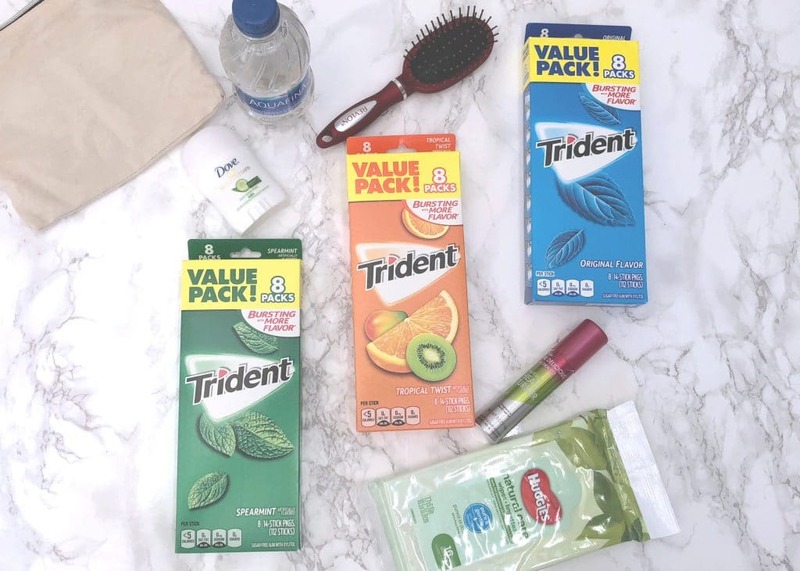 Read on to see how you can save money and freshen up with Trident! Starting tomorrow our schedule goes from summer time busy to school time crazy and we are moving non stop. I need to be prepared to freshen up on the go. I always carry a few favorites with me to make sure that when I am between bus pick ups and parent meetings, I am looking and smelling fresh. Thankfully this week I found the ibotta savings on Trident 8 packs and stocked up along with a few essentials. 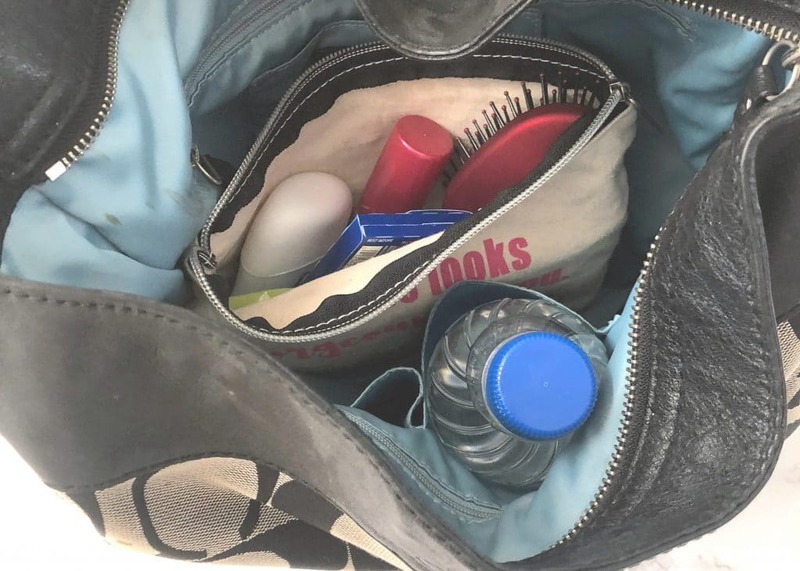 In my freshen up kit I keep a travel hair brush, deodorant, wet wipes, perfume, water and of course Trident gum. 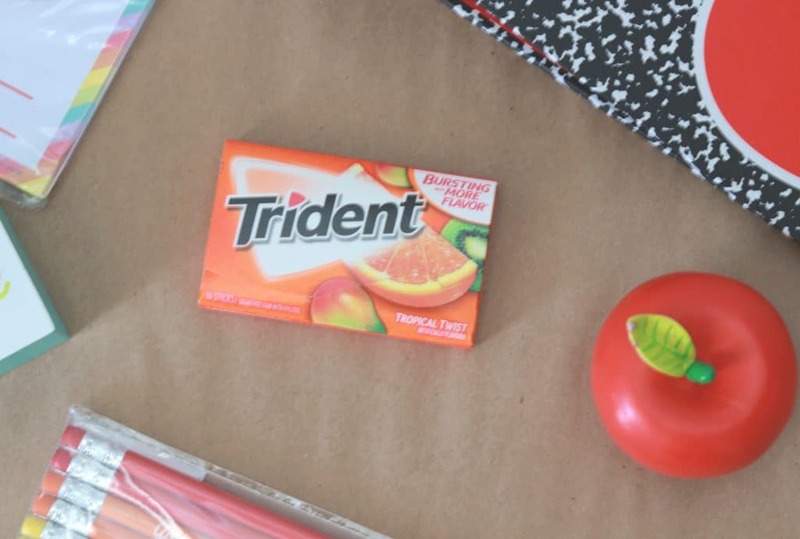 I love having gum on me and Trident has been a go to for years because it is sugar free and it keeps me from snacking just to snack. I love that I was able to snag that awesome ibotta deal and stock up before our schedule really takes off. 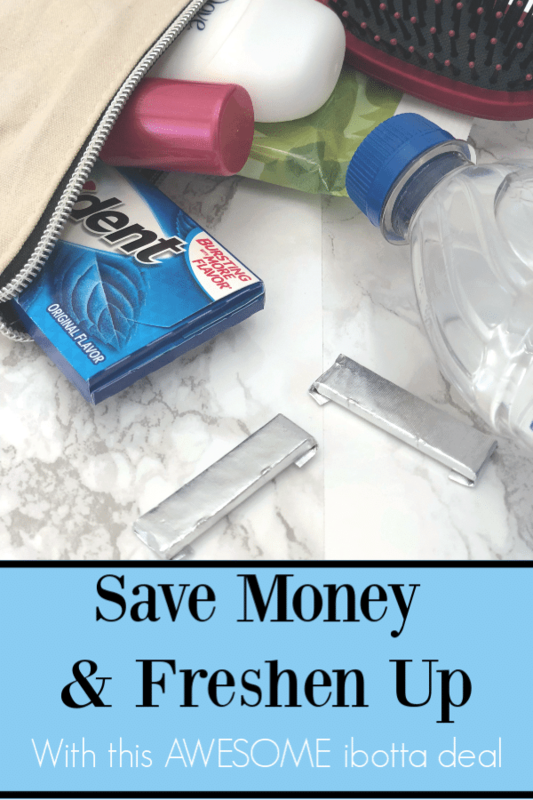 It is so easy to save money and freshen up on the go! Teachers have school supplies too! Sure we send home lists for parents to purchase, but you bet that we are also purchasing a ton of our own supplies. That is not news to anyone. In addition to what I purchase for my students, I also make sure that I have a few essentials for my desk and classroom. 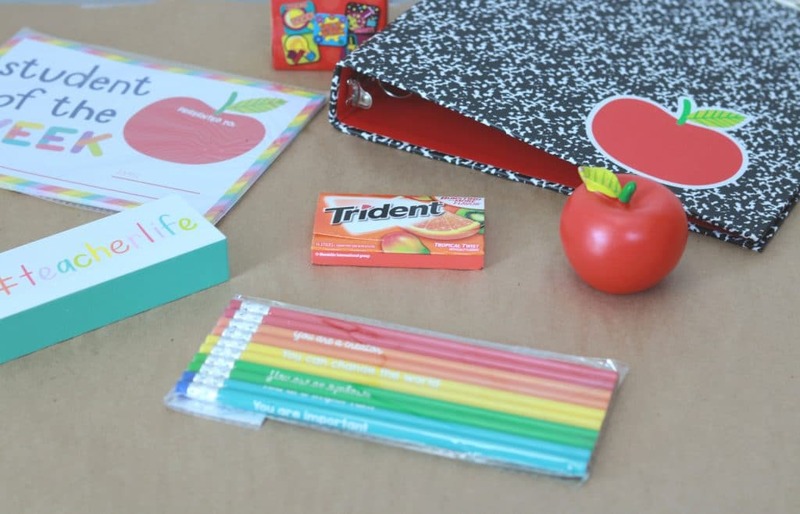 Folders, award certificates, stickers, inspirational pencils, fun decor and of course that Trident gum. I am seriously not kidding how much I stock up on Trident and how much gum I have around me at all times. My current favorite flavor of Sugar Free Trident gum is Tropical Twist. It has just a little citrus zing with a minty kick. Just the kick I need to keep moving and give me that fresh confidence to rock the day . I love that I can save money on my desk essential and stock up with the ibotta offer for Trident. The prices for the 8 packs of Trident are great and with the awesome ibotta savings, you can earn $1.00 cash back with this special offer! 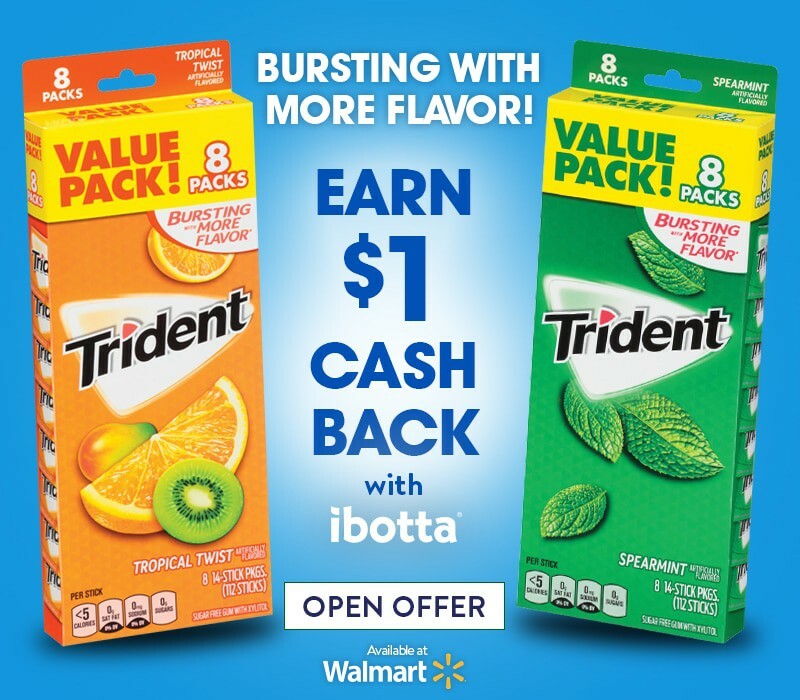 You can find the Sugar Free Trident Gum 8 packs flavors in, Original, Spearmint and Tropical Twist throughout the candy aisle (not at checkout) at Walmart and don’t forget to get the offer in the ibotta app! Want a chance to win some awesome Walmart gift cards? Well Trident and Walmart and coming together to bring you this awesome sweepstakes where six winners will take home $50.00 Walmart gift cards and one grand prize winner will take home $200 in Walmart gift cards! What fantastic prizes, take a chance and enter below. I-C (the company helping with the sweepstakes) will randomly select winners from all program entries and will facilitate fulfillment of the 7 winning prizes.